From the creation of Grand Rapids’ 12,000-seat Van Andel Arena to Muskegon’s multi-million-dollar Michigan Alternative and Renewable Energy Center to the $1.1 million beginning of a multi-county trailway connector in Lowell, West Michigan leads the pack with its culture of giving and an unparalleled record for public/private partnerships. Philanthropy, the desire to make a difference for the greater community, has become a way of life, for a new generation of up-and-coming philanthropists. West Michigan residents are driven to do more, to put our money where the need is, to continue building on philanthropic projects of the past. West Michigan also has a heritage of bringing competing industries, entrepreneurs, nonprofit organizations and government agencies together at one table to leverage the talents and combined resources of all for the betterment of a city, the region and even the state is a feat not seen in other areas of the country. In West Michigan, working together is how we get things done. It’s why there’s been $3 billion of investment in life sciences in Grand Rapids, millions more invested in innovations that convert landfills and farm waste into viable alternative energy, and why Holland’s Hope College has a state-of-the-art soccer stadium. With so much good happening in West Michigan, it’s easy to make your mark. If you want to make a real impact in the community you live in, we are the place to be. As a region, we rank above the national average in hours spent volunteering, and rank second in the nation in philanthropic giving. Visit the United Way’s website to view the latest volunteer opportunities in the Grand Haven area. The Johnson Center for Philanthropy offers a non-profit directory. Feeding America West Michigan exists to ensure good food is available to the hungry in the community. By saving good surplus food from going to landfills, they can distribute that reclaimed food to pantries, shelters, and other local anti-hunger organizations in West Michigan counties. The Center for Women in Transition exists to respond to, reduce, and prevent domestic and sexual violence against women. This is achieved through education, collaboration, and advocacy, with crisis and supportive services to victims and survivors. Goodwill Industries of West Michigan provides work opportunities, skill development, and family strengthening resources in several West Michigan communities. American Red Cross of Greater Grand Rapids prevents and alleviates human suffering in the face of emergencies. Local ARC volunteers provide critical (and often unseen) services in West Michigan every day. Volunteer applications are always welcome. Association for the Blind & Visually Impaired serves adults and youth with low vision clinics, rehabilitation services, and support groups throughout 13 West Michigan counties. The Volunteer Center at Heart of West Michigan United Way is an online portal that helps connect individuals, students, families and employers with organizations and programs that match their talents and interests. If you’re looking to volunteer, but don’t know where to start, they can help. ServeGR is a hyperlocal tool that connects people with ongoing volunteer opportunities that play to their strengths, use their passion, and fit their schedule—all within the greater Grand Rapids area. Heart of West Michigan United Way exists to provide quality education that leads to a stable job, help all households achieve financial stability, and give people access to good health at every stage of life. They also link Grand Rapids residents to volunteer opportunities throughout the community. Heart of West Michigan United Way Young Leaders connects young professionals to the mission of Heart of West Michigan United Way by providing opportunities to learn, grow, and participate as philanthropists to invest in solutions that reduce poverty in West Michigan. GRJC- Grand Rapids Jaycees host PGA Champions Tour events, Santa Claus Parades, Special Olympics Basketball Tournaments, Holiday Shopping Tours, provide underprivileged children in Grand Rapids the opportunity and funds to purchase Christmas gifts for their families, and organize Easter Egg Scrambles for community children, among many other community involvement opportunities. The Boy Scouts builds character and strong communities. The Salvation Army runs many programs in the area at their new, state-of-the-art Kroc Center in Grand Rapids. They also hold church services in the area. Michigan Blood is an independent blood bank providing blood products to hospitals throughout Michigan. You can give back to your community by donating at their Grand Rapids location or one of the many blood drives going on in the community. Silent Observer is a tip line open 24/7 to report crimes in your neighborhood anonymously. Criminal Justice Chaplaincy provides those whose lives have been affected by crime to experience justice, mercy and healing. They have many volunteer opportunities available including a mentoring program. The Women’s Resource Center helps women prepare for and secure meaningful employment. Using a combination of professional staff and carefully trained volunteers, they mentor participants though customized programs to assist them in securing a sustainable job. Catholic Charities West Michigan‘s programs and services focus on four distinct areas: community outreach, behavioral health, foster care and adoption, and family support. The Arthritis Foundation of West Michigan strives to improve lives through leadership in the prevention, control and cure of arthritis and related diseases. By volunteering, you’ll be making a difference in the lives of 50 million adults and the nearly 300,000 children living with arthritis. Susan G. Komen West Michigan is the largest grassroots non-profit organization in the world. The mission is to save lives and end breast cancer forever. Hundreds of volunteers help make our race for the cure happen as well as events throughout the year. The Grand Rapids Junior Chamber helps young professionals develop their skills as leaders by tackling civic problems. All of their events are run by their members, who have full-time jobs, but who are dedicated to improving their city. At the Creative Youth Center, kids become published authors, leading to a strong sense of identity and an enthusiasm for learning. Programs are free for all students attending Grand Rapids Public Schools. Greater Grand Rapids 100 Women Who Care is a streamlined way to give back. All it takes is 1 hour of your time 4 times a year and a $100 donation to 1 of 3 charitable organizations chosen for support. The City of Holland lists up-to-date volunteer opportunities on its website. Visit Greater Ottawa County United Way’s website to view volunteer opportunities. 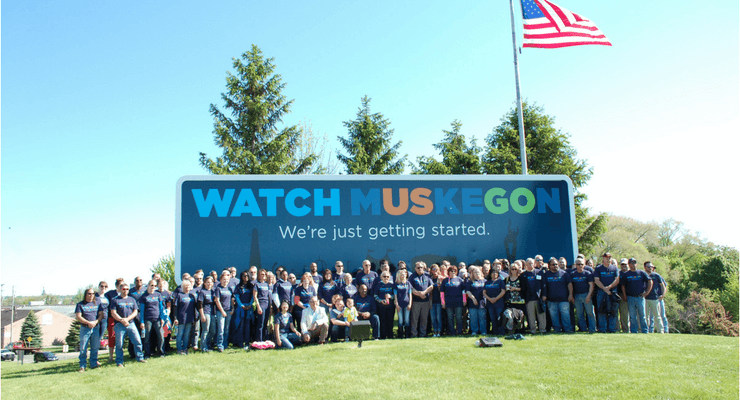 Muskegon Jaycees encourages young professionals ages 21-40 through business development and community involvement. Allegan County Community Foundation has been part of the community since 1965. Through the generosity of many, the foundation has put millions back into the community through non-profits. Community Action of Allegan County helps people with food assistance, utility assistance, Head Start Program, Older Americans, weatherization, and other community programs. Glenn Community Center is a non-profit organization, organized in the community to promote activities which are recreational, charitable, and educational in purpose. Five Cap, Inc. plans and evaluates long and short range programs, mobilizes public and private resources of anti-poverty programs, serves as an advocate of the poor, adopts program priorities, and conducts anti-poverty programs financed through the Community Services Block Grant and other resources. Toys for Tots & Gifts for Teens distributes toys and gifts to low-income families just before Christmas so that every child has a gift under their tree for Christmas morning. Walk for Warmth brings communities together to raise funds to help low-income families and seniors with heating costs. St. Ann’s Catholic Church provides many services to the community including senior services, which provides the older population in Lake County with the resources to stay independent and in their homes. It offers 4 senior centers in Lake County, home delivered meals, homemaker services, outreach services, chore worker, medical transportation, and communal meal sites. The Bread of Life Pantry works to raise money to give back to Lake County citizens. MSU Extension—Lake County helps people improve their lives by bringing the vast knowledge resources of MSU directly to individuals, communities, and businesses. Pathfinder Community Library offers huge selection of books, hundreds of DVD’s, community events, and fundraisers. Chase Public Library offers a summer long reading program, arts, computers for kids homework, and many other family programs. Luther Area Library offers many programs for families and kids. Irons Area Tourist Association is a group of volunteers who maintain local trails. They host the annual Flea Roast and Ox Market. The Rotary Club of Baldwin is both a volunteer organization and a social club. One of their programs is “Books for Kids,” a program that provides new paperback books free of charge to families who cannot afford them. Baldwin Lions Club conducts vision and health screenings, builds parks, supports eye hospitals, awards scholarships, assists youth, provides disaster relief. AMVET Riders Baldwin Post 1988 supports all American veterans who serve honorably and works to improve the quality of life for them, their families, and their communities through leadership, advocacy, and service. Lake County Habitat for Humanity works in partnership with people in need to provide housing. Lake County Pet Adoption League works to help find homes for homeless animals at the local dog pound, to promote the spaying and neutering of animals, and to further education especially in the area of proper pet care. Lake County Community Foundation is an affiliate of Fremont Area Community Foundation and addresses the community’s needs through grant awards in human services, education, health, community development, and culture. Idlewild Community Development Corporation preserves the history and legacy of Idlewild, both as a historic community and as a destination for family fun. Independent Order of Odd Fellows of Michigan provides underprivileged, foster, and other at-risk children a rewarding and educational camping experience through their Odd Fellow Rebekah Camp on Big Star Lake. Lakeshore Resource Network is an all-inclusive community assistance space for organizations like Habitat for Humanity, United Way, Michigan Works, TrueNorth Community Services, as well as many others; including the Lakeshore Food Club. Junior Achievement of the Michigan Great Lakes inspires a generation to be financially capable and tenacious through their experiential financial literacy, work readiness, and entrepreneurship programs. With the help of volunteer role models and partners, they are equipping these young people with the tools to solve problems creatively, manage risk effectively, and welcome opportunity. 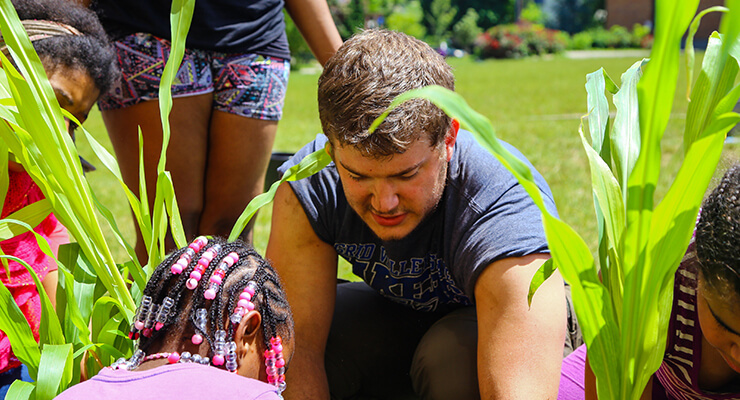 4-H Clubs is a community of more than 100 universities that works to educate kids through hands-on, leadership-oriented programs in agriculture, citizenship, health, and science. AMVETS works to represent the interests of 20 million veterans. AMVETS is open to and fighting for all who honorably served in the United States military, including the Reserve and Guard. Fraternal Order of Eagles operates nationally and donates more than $10 million a year to local communities, fundraisers, charities and more. General Federation of Women’s Clubs members work in the community to support the arts, preserve natural resources, advance education, promote healthy lifestyles, encourage civic involvement, and work toward world peace and understanding. Mecosta Osceola United Way works for people to get better jobs and achieve financial stability, students to graduate high school ready for college and careers, and individuals to lead healthier lives. Mid Michigan Big Brothers Big Sisters builds successful mentoring relationships for children, contributes to better schools, brighter futures, and stronger communities. Northwest Osceola Food Pantry provides food on an emergency and temporary basis, for those in need and who reside within the service area. Osceola County Community Foundation makes grants from a collection of permanent endowments to benefit the community. Rotary Club funds service projects that change lives both locally and worldwide.